Ted Christopher is a racing driver who has raced in NASCAR’s Sprint Cup, Nationwide Series and Craftsman Truck Series. He is the winner of the 2001 NASCAR Weekly Series. 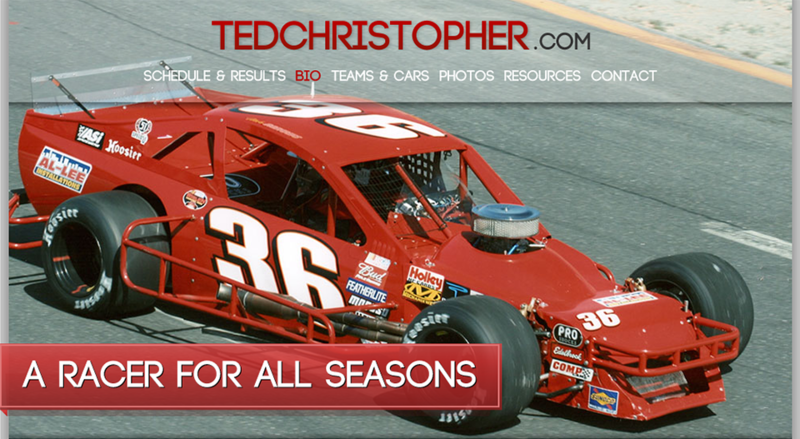 We designed this site to showcase Ted’s racing and to provide details on upcoming races.